Dermot Kennedy, NPR Slingshot's Best New Artist NPR Music fans have chosen Dermot Kennedy as Slingshot Best New Artist of 2018. In a conversation with NPR's Ailsa Chang, Kennedy talks about the pressures of newfound success and his dedication to the craft. 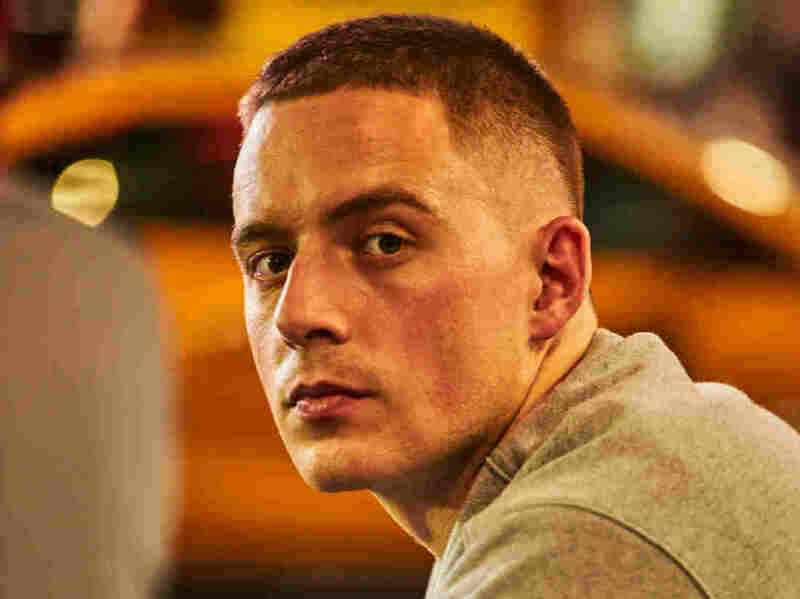 Dermot Kennedy was voted 2018's Best New Artist by listeners. NPR Music's first-ever Slingshot reader poll to determine this year's fan favorite artist featured an impressive lineup of talented, rising musicians, hand-picked by public radio stations throughout the year. Choosing just one artist was a tough request, but after nearly 5,000 votes, fans worldwide have voted Dermot Kennedy Slingshot's best new artist of 2018. Originally from Rathcoole, Ireland, Kennedy spent his summers busking in Dublin and Boston, performing covers and reserving studio time for his own music. Kennedy says the experience was formative, but not in a strictly positive sense. Although the singer has the voice to cover radio hits, he described constantly playing someone else's music to a disinterested crowd as "soul-destroying over time." "There were plenty of days where you feel like you're just not loud enough because there's just like hundreds of people and you're just basically screaming your head off in the street," Kennedy says. Still, those paid dues helped him in the long run. Some of the busker's shout can still be heard in Kennedy's song "Young and Free." Kennedy's musical roots lie in the acoustic world — think David Gray and Ray LaMontagne — but in the last few years, he says he's become obsessed with hip-hop. Kennedy worked with producer Mike Dean (known for his decades of work in the hip-hop world) first the 2018 EP, Mike Dean Presents: Dermot Kennedy. "The production has become influenced by [hip-hop], but I' always quite conscience of the fact that the music I first fell in love with was singer-songwriters," Kennedy says. "I'm trying to balance those two things the whole time." One song that showcases this balancing act is "Moments Passed," which features a visceral, distorted voice sample that Kennedy says kick-started his creativity at a time when he felt stuck. Pressures have changed considerably for Kennedy since his busking days. Now headlining in front of ecstatic crowds and racking up millions of Spotify streams, the singer faces the weight of success rather than the frustration of chasing it. He's working on it everyday. "I guess it's mainly pressure I've put on myself," he says. "The very act of overthinking and that sort of thing is just counterproductive instantly and you kind of squash your own work and sort of stem that natural thought process. So I struggled with it for a bit." In a conversation with NPR's Ailsa Chang, Kennedy talks about growing up in Ireland, his newfound fame and his dedication to the craft. To hear the full conversation, listen in the audio player.